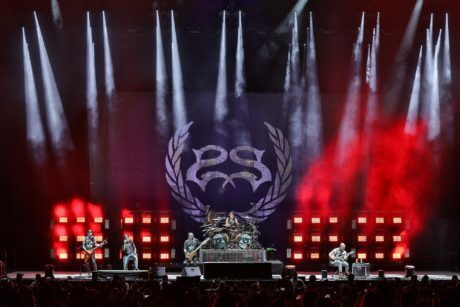 USA – Stone Sour may be the opening act on the U.S. leg of Ozzy Osbourne’s “No More Tours 2” tour but the American hard rock band is making an impression with the help of lighting designer Scott Warner and a dynamic wall of color. 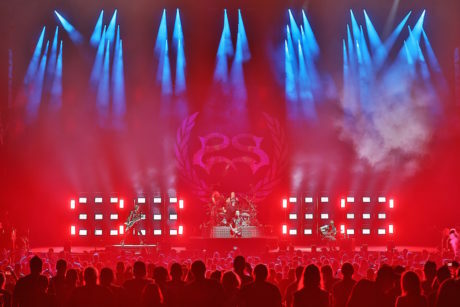 On the road since late August with The Prince of Darkness, Stone Sour has made a unique opening act impact with a “huge wall of overwhelming color” made up of multifunctional Elation Professional Paladin™ LED effect lights supplied by Bandit Lites. Driven by twenty-four 40W RGBW LEDs that produce a blistering 990 watts of power, the Paladin produces intense effects with RGBW color mixing that gives a full spectrum of color options, including high-impact white light. Warner uses the fixture’s manual tilt adjustment to aim the Paladins upward (to avoid blinding the audience) and zooms them out for fantastic blinder effects. The Paladin is also IP65 rated for multi-environmental use, a feature the designer values. “We do mostly outdoor shows so there is no need to wrap them in plastic if it’s raining,” he said. 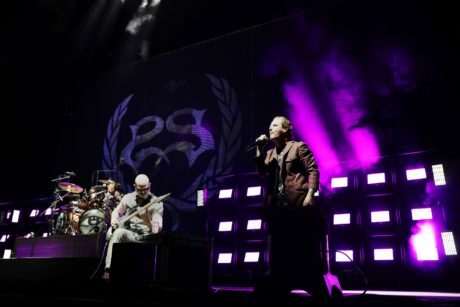 Stone Sour features one of hard rock’s most celebrated frontmen in Corey Taylor, who also fronts the heavy metal band Slipknot. 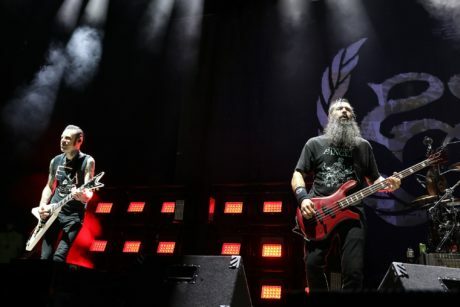 Touring in support of their latest album “Hydrograd,” the band will be out with the Ozzy Osbourne tour until Oct 13th.